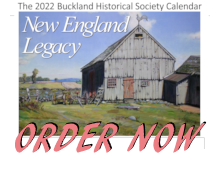 RSW- Artwork page, "October Farm"
House burned and was rebuilt. Barns same. "Painted prior to 1930. Mr. Hunt's barns and silos (the Asahel Hawks place) in Buckland at the foot of Town Farm Hill. 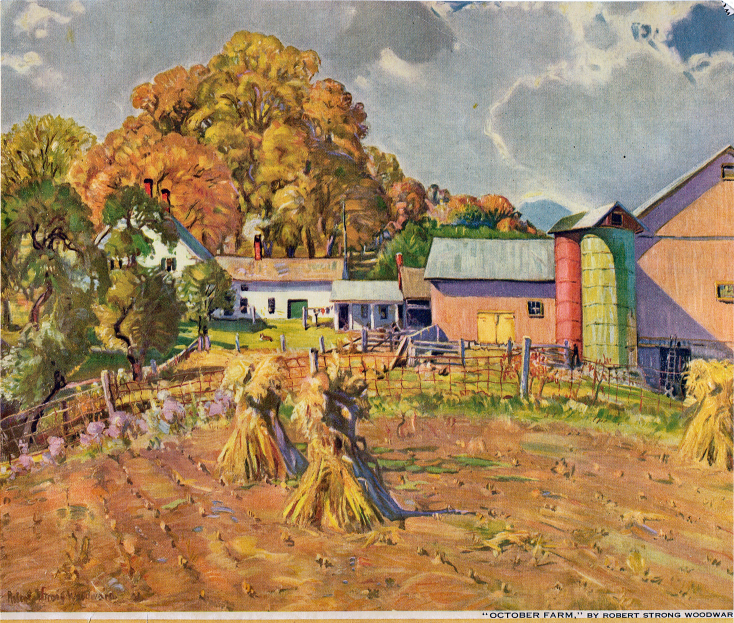 Illustrated on cover of Progressive Farmer magazine, October, 1935. Later hung in the dining room of the Myles Standish Hotel in Boston where up to Nov. 1942, it has been a number of years. 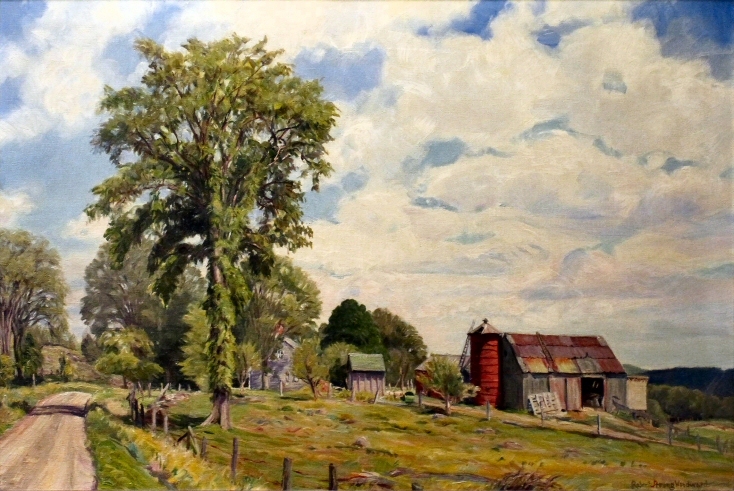 Now in the studio-- 1949)"
".....a wealth of autumn color in October Farm with crisp, cool atmosphere this artist excels in rendering." The original name of this canvas is thought to be Twin Silos. When it was later made into a magazine cover (below) the publishing company apparently changed the name to October Farm. The original painting is privately owned. 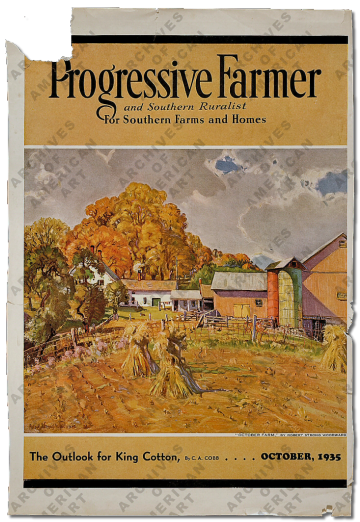 An image of the cover of Progressive Farmer October 1935. 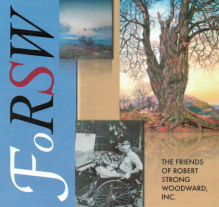 RSW has exhibited in the corporate offices of this magazine but we have no record of this particular painting having hung there. However, we do have record of this piece hanging in the Myles Standish Hotel from 1935 to 1942.